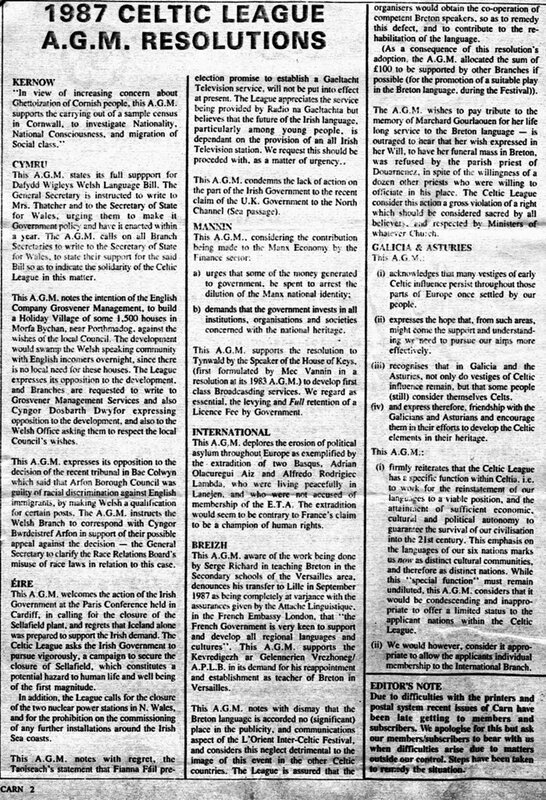 Memorable Data: 1987 – The CELTIC LEAGUE Annual General Meeting: text of their arbitrary resolution regarding GALICIA & ASTURIAS memberships. The Place: Buenos Aires, Argentina; the Year: 1986. 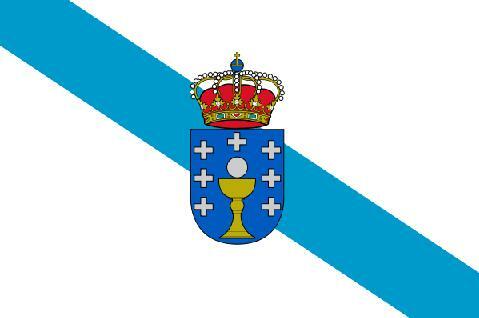 We the celts gathered in the “Royal Celtic Association of Galician Pipers”, decided to work together with our brothers form Spain, the “Lliga Celta d’Asturies” and the “Irmandade Celtiga”, in order to gain the recognition of Galicia and Asturias as Celtic Nations members of the The Celtic League. We subsequently passed forward our whole petitions with the enclosure of a large list of signatures (both Argentine and Spanish) unto their Celtic League’s International Branch Secretary, the late Alan Heusaff, on whom we always found echo of our aims. He summoned a subcommittee in order to line out a proposal for the 1987 Annual General Meeting. As a result, a couple of considerations were made: the first one, lined out a proposal considering Galicia and Asturias as associated member countries only; and a second one, considering our collectives part of the International Branch Diaspora, as individual associations or leagues. 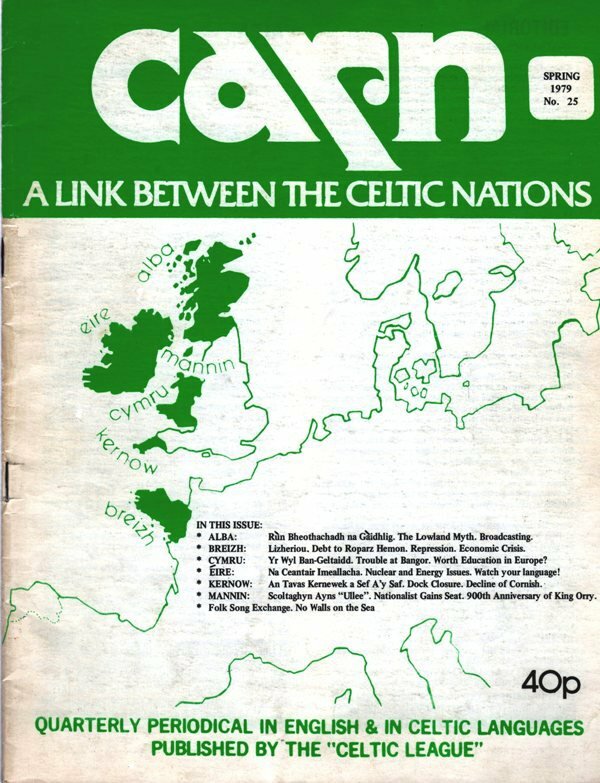 Unfortunately, London and Manx branches opposed arguing that the Celtic League only considers as “nation” those people who posses “Celtic Language”. Although Galicia has many Celtic words in their language, and even when Celtic languages are spoken by a minority within their member countries , our request was denied. The same happened with Asturias. “Celtic Nation” is still a term used to describe some territories in northwest Europe in which their own Celtic languages and cultural traits have largely survived. The term “nation” is used in this context to mean a group of people associated with a particular territory who share a common identity, language or culture, and is not synonymous with “country” or “state”. Once again the “language” subject prevails. Ironically you may find hereby a front cover scan of their Carn Magazine # 25 issued on Spring 1979 where Galicia and Asturias appeared within dotted lines.According to the late Alan Heusaff, this dotted line for Galicia and Asturias was left out after 1979, after his proposal of full membership for these countries was rejected in that opportunity. You may read below the text of their arbitrary resolution regarding GALICIA & ASTURIAS memberships. On top: scan of the print published on the Carn Magazine # 59 issued on 1987. (i) acknowledges that many vestiges of early Celtic influence persist throughout these parts of Europe once settled by our people. (ii) expresses the hope that, from such areas, might come the support and understanding we need to pursue our aims more effectively. (iii) recognises that in Galicia and the Asturias, not only do vestiges of Celtic influence remain. but that some people (still) consider themselves Celts. (iv) and express therefore. friendship with the Galicians and Asturians and encourage them in their efforts to develop the Celtic elements in their heritage. (i) firmly reiterates that the Celtic League has a specific function within Celtia. i.e. to work for the reinstatement of our languages to a viable position, and the attainment of sufficient economic, cultural and political autonomy to guarantee the survival of our civilisation into the 21st century. This emphasis on the languages of our six nations marks us now as distinct cultural communities, and therefore as distinct nations. While this “special function” must remain undiluted, this A.G.M. considers that it would be condescending and inappropriate to offer a limited status to the applicant nations within the Celtic League. (ii) We would however, consider it appropriate to allow the applicants individual membership to the International Branch. 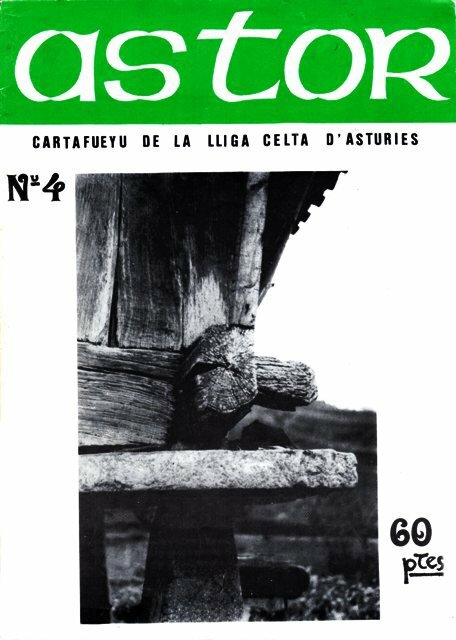 Hi to all, I would like to share with you this scan of the front cover of a couple of issues of “ASTOR”, the official magazine of the “Lliga Celta d’Asturies” from Asturias, Spain. These are their 4th and 8th issues featuring the two different formats that the publication had. 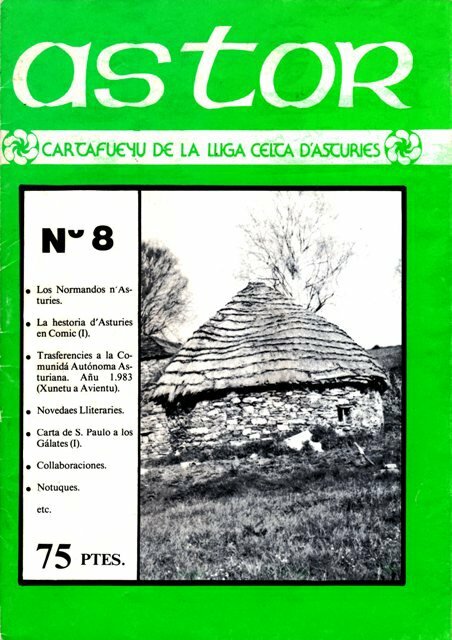 On this magazine the “Lliga Celta d’Asturies” (Celtic League from Asturias) spread their work, as well as other research collaborations, contributed by people outside of the C.L.A. and even from other countries, related of course to Asturias and Celtic culture in general. Issued quarterly. It was distributed in the Asturian territory and elsewhere in Spain or outside the country, other countries of the so-called Celtic and with whom they maintained a cultural exchange. On their ASTOR #17th in coincidence with the C.L.A.’s anniversary, it was announced that only monographs with no reviews would be published. Subsequently three issues dedicated to researches on “Celtic Laws” were published as last numbers of this memorable magazine. 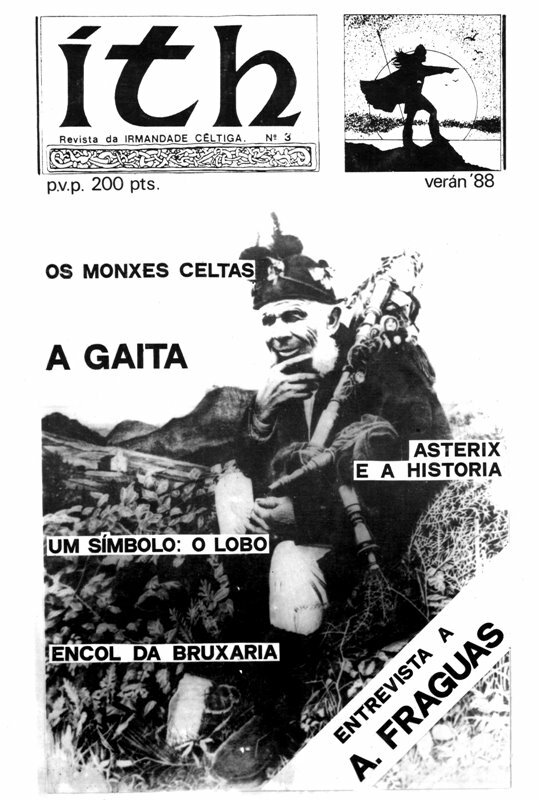 Memorable Data: 1988 – 3rd issue of “ITH” – the official magazine of the “Irmandade Celtiga” from Galicia, Spain. Hi to all, I would like to share with you this scan of the front cover of ITH, the official magazine of the “Irmandade Celtiga” from Galicia, Spain. This is their 1988 3rd issue, plenty of interesting reviews, and collaborations according to the aims of the C.B. : “the publishing of all the studies carried out by individual teams, as well as articles, essays, illustrations, stories, poetry, musical compositions, etc. in the Celtic style”. The piper depicted on the front cover is the late Manuel Rilo Pardo one of the most prominent pipers from Betanzos, Galicia, Spain, who died on May 1907. He used to play in the “traditional” style ; winner of more than 27 prizes at local competitions,was an expert performing “muiñeiras” (6/8 dancing tunes). The magazine was coordinated by one of the most relevant musicians from Galicia: Xose Bieito Romero Copo, member of the C.B. and founder and lead piper/accordion player /composer of the famous folk band “Luar na Lubre” as well, who also collaborated with some reviews. Let us mention that “Ith” was the leader of the first Celtic invasion to Ireland from the Iberian Peninsula; from Breogan’s Tower, Ith first saw Ireland, 900 kilometres north of A Coruña, Galicia, Spain. This tale is found in the last chapter of the Lebor Gabála Érenn (The Book of the Taking of Ireland) in reference to the Milesians or “Sons of Míl” who, according to this legend, would be the first wave of Celts arriving into Irish shores. It was compiled and edited by an anonymous scholar in the 11th century, a mixture of mythology, legend, history, folklore and Christian historiography. It is usually known in English as The Book of Invasions or The Book of Conquests, and in Modern Irish as Leabhar Gabhála Éireann or Leabhar Gabhála na hÉireann. A large statue of Breogán (Ith’s father) has been erected near the Tower of Hercules.